Grave : Plot IV. Row A. Grave 6. 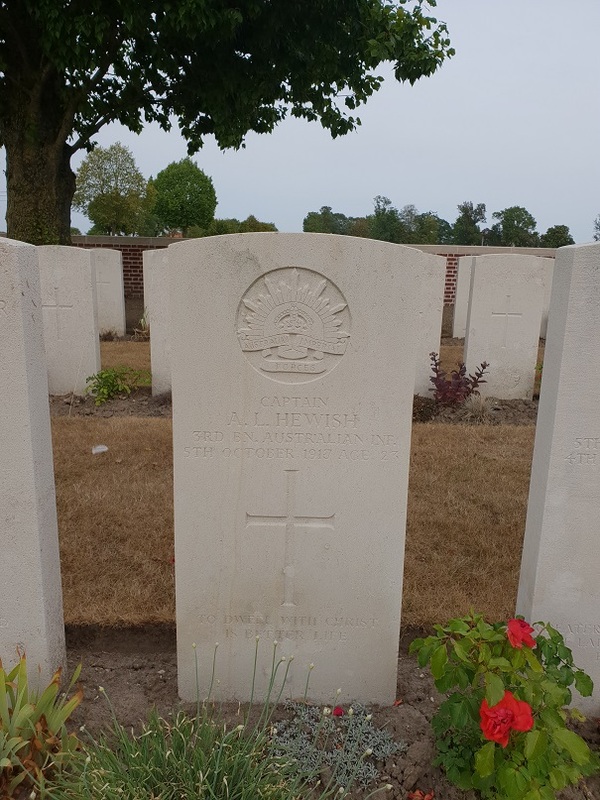 Arthur Leslie Hewish was a son of Arthur and Bessie Hewish, of Albury, New South Walen. He was a native of Blayney.